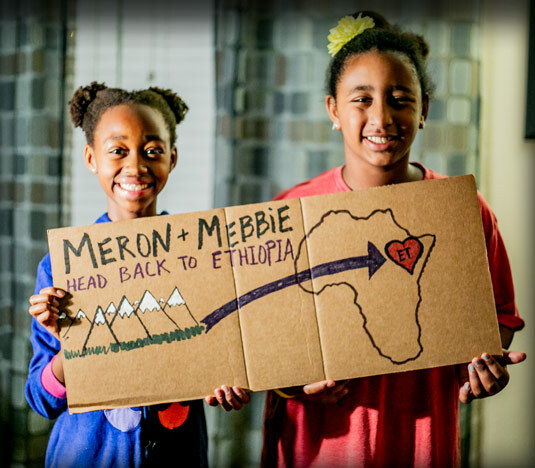 Guess who is heading back to Ethiopia to serve at Brighton Academy and love on the students and kids there? I am so excited for them - but there is NO WAY I am more excited than they are! They've been talking about going back for a long time - and their desire to serve is SUPER STRONG - so i know they are going to have an amazing time and a be a bright light for Him in the Kingdom. We've told them they're going to have to fund-raise for their costs - so you may hear from them soon as they try to start putting that together. In the meantime... would you pray for them with me? Prayers for ready hearts, health to stay good and minds being prepped by God to go be His hands and feet. Daddy is proud of you girls... now go shine your lights super bright! We're Still Babies at Heart! We Love This Time of Year! Had a Very Shiny Nose! Granny and My Best Friend! Granny Time Means Cookie Time!